This article was originally published in Forbes on October 2, 2018 by Jim Witham. The last decade of global economic change has been driven largely by the forces of the internet and an unexpected cohort of companies that have irreversibly changed the behavior and expectations of business and society. 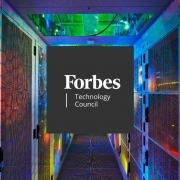 Billions of smart consumer devices, robotic factories, industrial IoT and the pending rise of autonomous vehicles have created a nearly unquenchable thirst for growth in digital infrastructure and data centers. As a result, data — creation, collection, storage and analysis — became the economic kingmaker. The very fabric of economic life today is inextricably linked to data. But if you look closer, these game-changing technologies that we believe define our global future all rely either directly or indirectly on an even more basic element: energy. Some of the most important global industries of today are highly energy-intensive: transportation, data centers, consumer electronics and industrial manufacturing. Their future is gated by a relationship between energy and the digital data that initiated their transformation. As the CEO of a company in the power semiconductor space, I am seeing firsthand that companies around the world are looking for ways to achieve improved energy efficiency, not only for the quarterly bottom line, but in relationship to the social values that they hold in their industry and as global citizens. Many companies already employ strategies of alternative sources of energy as well as conservation practices. While these are certainly an important part of the equation, the ability to have significantly more efficient power conversion and to be able to design new kinds of power systems not imaginable before is the next important part of the equation. • Electrification of vehicles, as a response to decrease CO2 emissions, is driving the need for both the evolution of the smart energy grid and new renewable energy sources (using electricity generated by fossil fuels would merely shift the emissions problem). • As electric vehicles evolve into near-future autonomous vehicles, the volume of data they create places new pressure on the data centers that are as energy-hungry as the vehicles they support. • Autonomous robots central to new industrial models are increasing the already significant data and accompanying energy demands of manufacturing, food processing, chemicals and mining industries. • The global proliferation of digital devices is accompanied by energy demands not only for their operation, but also to power the networks and data centers needed to support them. Within all the promises of this digital revolution, the downside of new pollution proliferation from increased energy demands has rarely been seriously considered. If we are to continue to realize a data-driven evolution to a world of abundance and opportunity, business and technology leaders need a new understanding of the data-energy relationship. What Does The Data-Energy Relationship Look Like? 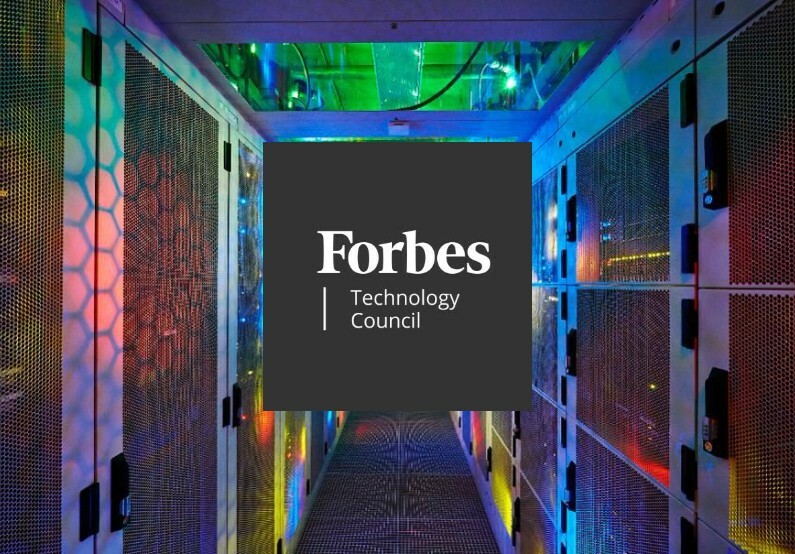 Millions of data centers around the world use an astronomical 416 Terawatt hours of electricity each year in order to manage the 2.5 quintillion bytes of data created each day from individual and business uses. This already accounts for 2% of global energy use. Data has indeed become as energy-hungry as humans when one looks at the fact that a large data center uses as much electricity as a small U.S. city. Electricity costs have served as an initial self-serving motivator for business to decrease power demand and increase efficiency through renewables, software and hardware technology. But with an ever-growing data load from new sources in smart devices, IoT, electric vehicles and industrial manufacturing, greater attention and innovative action will be required if data centers are not to replace factories and cars as the new centerpiece of the global CO2 challenge. The installed base of connected devices is expected to grow from 30 billion to 75 billion between 2020 and 2035. While technologies are increasing energy efficiency and decreasing the energy needs of each individual device, more electricity is now needed to both manufacture this increased volume as well as to handle the devices’ significant data and connectivity requirements. Among the more than 7 billion people on the planet are 5 billion mobile phone users and 4 billion internet users. With an average monthly smartphone data use of 2.9 GB, and the prediction that more than 1 billion years of time will be spent online in 2018, that all has a tremendous impact on energy-hungry data centers. The stage is set for a massive hit to the global energy grid as the number of electric vehicles grows from an estimated 2 million in 2017 to 125 million in 2035. In order to avoid electricity production and distribution from becoming the new villain of the transportation pollution (CO2) story, renewables will need to play a dominant role, along with technology that enables greater energy conversion efficiency in the grid, at charging stations and within the vehicles themselves. As vehicles evolve to greater levels of autonomy and data dependence, energy for data becomes as important as energy for fuel in vehicles. With each vehicle creating 4,000 GB of data per day, by one claim, even a small percentage of U.S. vehicles becoming autonomous will mean the need for hundreds of million of servers in thousands of massive energy-hungry data centers. This sector of the global economy already requires 54% of the world’s total delivered energy — more than any other sector. Increasingly automated (data-driven and autonomous) manufacturing for items including cars, chemicals, mining and food production means that data intelligence and its accompanying energy demand will push this number to even higher levels — under current technology conventions. This will be the unsustainable story unless we innovate on and integrate technologies that address energy efficiencies in power conversion in the autonomous robots and systems that work side by side with humans in “smart” factories. If we are counting on a data-fueled future, then we cannot ignore the undeniable link between data, data centers and energy. We cannot claim to solve problems of transportation and CO2 levels, change the quality of life through near-ubiquitous global internet access or magically transform manufacturing into a “smart” industry if we merely end up transferring the negative impacts from one marketplace or geography to another. If the promised dawn of economic abundance and social opportunity is to be realized, then the leaders of these data and energy-reliant industries must embrace new business practices, emerging technologies of energy conversion efficiencies and a commitment to increased use of renewable sources.